UPDATED | A new oldies station for digital radio listeners in North Yorkshire has been given Ofcom approval to launch on local DAB. North Yorkshire Oldies, a "music-based station playing songs mainly from the 1960s and 1970s, targeting listeners aged 50+" has been allowed to join MuxCo North Yorkshire's bouquet of local digital radio services from 1st February 2016. According to Ofcom, the station will broadcast in stereo, with 112kbps of bandwidth assigned to the station. The MuxCo North Yorkshire DAB multiplex also carries BBC Radio York, Yorkshire Coast Radio, More Minister, Stray Extra, Radio Yorkshire, Capital, Smooth and Vale Radio. The multiplex has been on air since 2014 and broadcasts on VHF Block 10C. 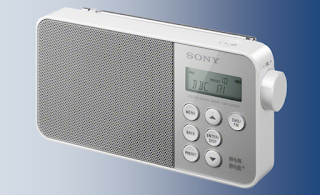 New DAB stations are usually automatically added in the background on most radios when a listener tunes into another station on the same multiplex frequency.